"Vacation Joy" in Beachfront Westwinds Condo -Gulf Views -Newly Redecorated! With the new kitchen island seating, guests will enjoy preparing meals in the fully equipped kitchen complete with tiled backsplash and coordinating appliances. Down-time will be something to look forward to with plenty of seating in the newly redecorated living area and dining room. The roomy master bedroom has a beautiful adjoining bath with tiled walk-in shower. The guest bedroom with two twin beds comfortably accommodates friends and family. Of course, you came here for the beach and this condo does not disappoint. Start your day or end your night taking in gorgeous sights and sounds from the balcony. This is paradise! Amenities | Spacious balcony with breathtaking Gulf views, gated parking, secured building access, 2-story lobby and complementary WiFi, large community pool, kids’ pool, Tiki Hut, hot tub, fitness room, and grilling area, private beach walk, and access to all that Sandestin® has to offer. Tipped with orange-red rooftops and towering over the country's most popular sugar-white sand beaches and Emerald-green waters is Westwinds condominiums, a longstanding landmark of the Beachside of the Sandestin® Golf and Beach Resort. The property's accommodations include traditional floor plans for 1-, 2- and 3-bedroom units which, in some cases, can be enlarged with connecting rooms and tailored to fit your vacation group's sleeping needs. Each unit has a spacious balcony and many with Gulf-views. The Westwinds tower offers guests gated parking, secured building access, a 2-story lobby area with four elevators, complimentary WiFi, a lagoon-styled pool, kids’ pool and fitness room. As a My Vacation Haven guest, enjoy additional ways to save through our Added Fun Partners where we offer unique discounts to community eateries, beach activities and retail shops so you can save while you stay! Pack less, play more! This property offers our MVH Beach Closet stocked with complimentary beach chairs, Boogie board and sand toys for use during your stay. 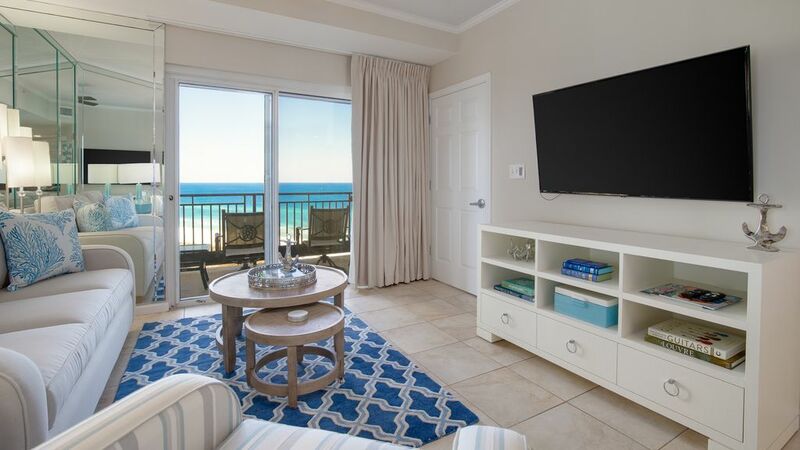 My Vacation Haven offers beach to bay vacation rentals in Sandestin ® Golf and Beach Resort, Tops'l Beach and Racquet Resort and surrounding South Walton areas. My Vacation Haven is known for its personalized customer care and awesome guest discounts for area attractions and businesses. For beachside fun at its best, every accommodation includes complimentary beach chairs, an umbrella, sand toys and a boogie board for guest use. All of our rentals have keyless entry and offer a 24/7 help line for any maintenance emergencies. And YES we are mobile. You will find us in the APP store for IOS or Android. All rental information will be at your fingertips when using our app. For your convenience My Vacation Haven is located in Grand Boulevard at Sandestin ® Town Center. Book online or call us today at 800.553.0188. My Vacation Haven. YOUR next Vacation Spot! We have been coming to Destin and staying at Westwinds for many years. We love Sandestin Resort! Booked our trip last minute this year. We were pleasantly surprised when we walked into “Vacation Joy” to discover that the unit had been updated with fresh new paint colors, flooring and furniture. The updates were nicely done! Condo was great and had all that we needed for our party of 4 (2 adults and teenage boys). This year, we took advantage of the outside grills and grilled out 3 nights. There is a great seafood market off 98 in Santa Rosa Beach called Shrimpers Seafood Market. My only complaints about the condo are the rug in the living room sheds but maybe because it’s new and there is a screw hanging down from the top of the inside shower handle in the master bath. You could cut your hand if not careful. Our family loved our stay at Westwinds in Sandestin! Some friends recommended this condo to us, and we were extremely pleased with the property. This unit overlooked the aquamarine-colored water and white beach. The unit was spacious, very nicely appointed, and inviting. We had everything we needed and felt right at home. The pool, beach access, and parking were all convenient. We would definitely return to this unit again. Very nice, clean and beautiful property!!! The property was very nice and the grounds were gorgeous. Beautiful pool and easy beach access. The lack of communication and flat out lying by the management company was unbelievable. I was told that an early check in would be no problem. I was told several times I would be called back with a time and new room code. Instead, we wasted half our day waiting on the cleaning crew to be finished with the room. For the amount of money I paid ($1,294.26) for two nights (not even 48 hours), I was very, very disappointed and upset. My 90 year old Grandmother had to sit in her wheel chair for several hours, which in turn caused her pain and soreness for the remainder of our trip. My children fell asleep from boredom on the floor of the lobby. Most of our day was wasted because I was lied to by a girl named Amanda with My Vacation Haven. Had she just been honest with me, we could have found something else to do instead of wasting our day. Also, the cleaning crew told me there was NO call from the management company about cleaning. After setttling in, we kept hearing a beeping. It was a moisture alarm. Once again I had to call Leslie and My Vacation Rentals and tell her. She sent out a maintenance person. That was another 1 1/2 hours wasted because we had to wait for him to get there and then check. WE finally figured out it was going off because the room had JUST been cleaned. He was not happy and neither was I. I feel money was wasted by both parties. He needlessly had to come over there. We've never had anything like this happen before. I was SO disappointed by the management company and their lack of communication and lying.